As a member of the famous MIT Blackjack Team and the inspiration for the main character in the book Bringing Down the House and the Kevin Spacey film 21, Jeff Ma knows a thing or two about gambling. Scratch that — Jeff Ma isn’t a gambler. That’s because every move in blackjack has one correct decision. It’s just about understanding basic strategy, and implementing it. Remove human instincts, or “gut feelings,” and you will stack the odds in your favor. 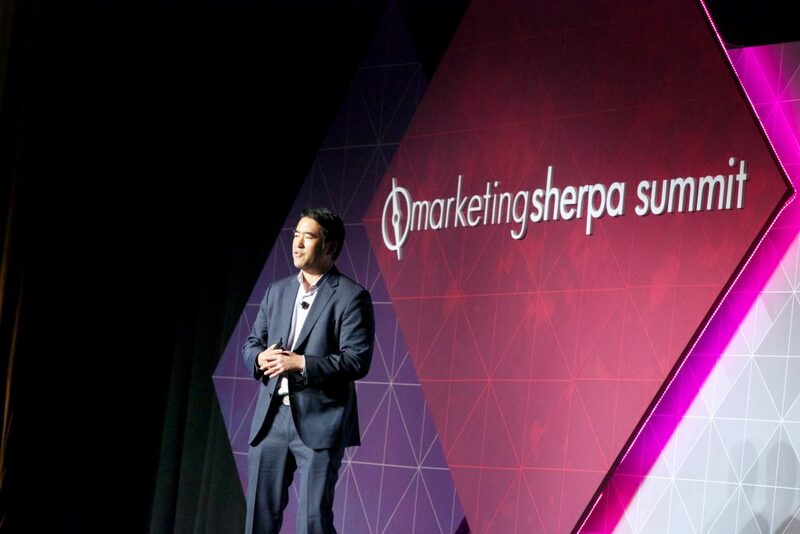 Currently the senior director of analytics at Twitter (after selling his startup to the social network) and a former predictive analytics expert for ESPN, Jeff spoke to the MarketingSherpa Summit audience about how to use data and analytics to come out on top with customers. All marketing is built on trust. Without trust, customers won’t subscribe to your email. They won’t open. They won’t click. And they certainly won’t buy. Keeping this in mind, I interviewed Craig Spiezle, Executive Director and President, Online Trust Alliance, about security, privacy and consumer protection. 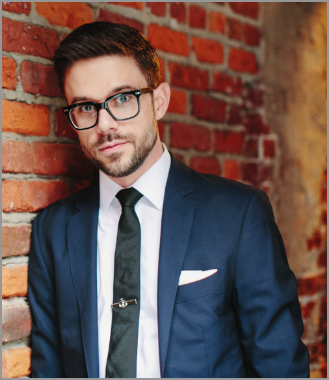 I’ve also and provided tips on how you can build trust with your customers. One of the great things about writing MarketingSherpa case studies is having the opportunity to interview your marketing peers who are doing, well, just cool stuff. Also, being able to highlight challenges that can help readers improve their marketing efforts is a big perk as well. A frustrating part of the process is that during our interviews, we get a lot of incredible insights that end up on the cutting room floor in order to craft our case studies. Luckily for us, some days we can share those insights that didn’t survive the case study edit right here in the MarketingSherpa Blog. A recent MarketingSherpa Email Marketing Newsletter article — Marketing Analytics: How a drip email campaign transformed National Instruments’ data management — detailed a marketing analytics challenge at National Instruments, a global B2B company with a customer base of 30,000 companies in 91 countries. 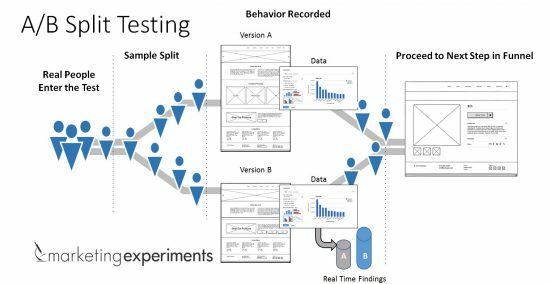 The data challenge was developed out of a drip email campaign, which centered around National Instruments’ signature product, after conversion dropped at each stage from the beta test, to the global rollout, and finally, to results calculated by a new analyst. 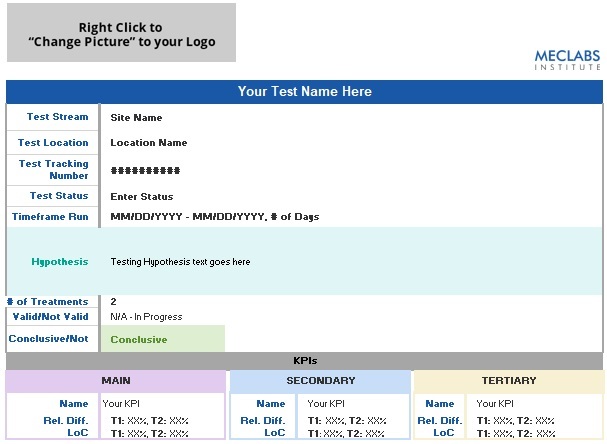 The drip email campaign tested several of National Instruments’ key markets, and after the beta test was completed, the program was rolled out globally. Read the entire case study to find out how the team reacted to that marketing challenge to improve its entire data management process. Over the years, the Internet has become more adaptive to the things we want. It often seems as if sites are directly talking to us and can almost predict the things we are searching for, and in some ways, they are. Once you visit a website, you may get a cookie saved within your browser that stores information about your interactions with that site. Websites use this cookie to remember who you are. You can use this same data to segment visitors on your own websites by presenting visitors with a tailored Web experience. Much like a salesman with some background on a client, webpages are able to make their “pitch” to visitors by referencing information they already know about them to encourage clickthrough and ultimately conversion. Webpages get this information from cookies and then use a segmentation or targeting platform to give visitors tailored Web experiences. Cookies can also be used to provide visitors with tailored ads, but in today’s MarketingSherpa Blog post, we will concentrate on your website, and how segmentation can be used on your pages to provide more relevant information to your potential customers. At MECLABS, we explore cookie-based segmentation the only way that makes sense to us – by testing it. It’s fairly easy to identify the different variables you would want to segment visitors by, but how to accurately talk to them should be researched. It’s also easy to become distracted by the possibilities of the technology, but in reality, the basic principles of segmentation still apply, as well as the following general rules. There are more opportunities for error when segmenting online because multiple people may use the same computer. Therefore, online segmentation has some mystery to it. You can tailor your message to best fit the cookies, but that may not accurately represent the needs of the specific person sitting in front of the computer at that time. Many segmentation platforms boast a 60% to 80% confidence level when it comes to how accurately they can segment visitors, but I think a better way to position this information is there is a 20% to 40% margin of error. Be cautious with how you segment. Make sure the different experiences you display are not too different and do not create discomfort for the visitor. For visitors who do not share a computer, error can still be high. They may be cookied for things that do not accurately describe them. I bet if you looked at your browser history, it may not be the most precise representation of who you are as a person. Therefore, don’t take cookie data as fact because it most likely isn’t. It should be used as a tool in your overall segmentation strategy and not serve as your primary resource for information about your customers. People are getting used to the Internet making suggestions and presenting only relevant information to them. Some have even come to expect this sort of interaction with their favorite sites. However, there is a fine line between helpful and creepy. Visitors probably don’t want to feel like they are being watched or tracked. Marketers should use the data collected about their visitors in a way that does not surpass their conscious threshold for being tracked. For example, providing location-specific information to visitors in a certain region is alright, but providing too much known information about those visitors may not be. Cookies can tell you income level, demographic information, shopping preferences and so much more. Combining too much known information could seem overwhelming to the visitor and rather than speaking directly to them, you risk scaring them off. Instead of making it blatantly obvious to visitors you have collected information on them, I would suggest an approach that supplies users with relevant information that meets their needs. Every Research Partner wants a lift, but we know sometimes, those lifts aren’t achievable without learning more about their customers first. And often, our biggest lifts are associated with radical redesign tests that really shake things up on a landing page. That is because the changes are more drastic than a single-factor A/B test that allows for pinpointing discoveries. So, how can you strike a balance between using these two approaches while still delivering results that satisfy expectations? You can achieve this by managing your client’s or business leader’s expectations effectively. It sounds easier said than done, but there are a few things you can do to satisfy a client’s or business leader’s needs for lifts and learnings. At MECLABS, we often recommend a strategic testing cycle with radical redesign testing (multiple clusters as opposed to a single-factor A/B split) to identify any untapped potential that may exist on a Research Partner’s landing page. However, you must make sure you are not making random changes to a page to achieve a radically different control and treatment, but are truly focused on challenging the control’s paradigms and assumptions currently being made on the page by testing with a hypothesis. For example, Sierra Tucson, an addiction and mental health rehabilitation facility, found with a radical redesign from a landing page focused on luxury to a landing page focused on trust resulted better with its target audience. 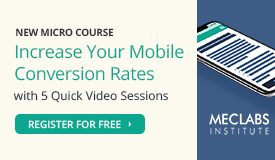 The company also generated 220% more leads with the test to boot. Next, we suggest refining with variable cluster testing, also known as select clusters. If you identify a radical shift in messaging to be effective, as Sierra Tucson did, you might next want to try different copy, different designs or different offers, just to name a few options. Sometimes while working with our Research Partners, I hear interesting explanations on why they can’t move forward with testing a particular strategy. While there are some very legitimate barriers to testing that arise during planning (testing budgets, site traffic and ROI), the most common explanations of “We can’t do that” I hear rarely outweigh the potential revenue being left on the table – at least not from this testing strategist’s point of view. So in today’s MarketingSherpa blog post, we will share three of the most common barriers to testing and why your marketing team should avoid them. Legacy barriers to testing are decisions derived from comfort. But what guarantee does anyone ever have that learning more about your customers is going to be a comfortable experience? So, when I receive a swift refusal to test based on “We’ve always done it like this,” I propose an important question – what created the legacy in your organization in the first place? Generally, many companies understandably create business constraints and initiatives around what is acceptable for the market at a given point in time. But what happens far too often is that these constraints and initiatives turn into habits. Habits that are passed on from marketer to marketer, until the chain of succession gives way to a forgotten lore of why a particular practice was put in place. This ultimately results in a business climate in which the needs of yesteryear continue to take priority over the needs you have today. The false confidence barrier is built on the belief that if it isn’t broken, don’t fix it – or at least it isn’t broken that you’re aware of. 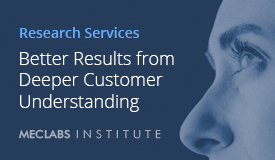 This is especially important if your organization is determined to use customer experience in the digital age as the metric of success when evaluating a website’s performance – and this happens more than you would think. What obligation does a customer have to complain about their experience to you? My recommendation in this case is to never assume customer silence is customer acceptance. Instead, take a deeper look at your sales funnel for opportunities to mitigate elements of friction and anxiety that may steer customers away from your objectives, rather than towards them. One of my responsibilities as a Research Analyst is to manage ongoing test planning with our Research Partners and at times, keeping tests running smoothly can be a challenge. This is especially true when you consider testing is not a static event – it’s more like a living, breathing continuous cycle of motion. But even with so many moving parts, effectively managing test plans can be made a little easier with two proven key factors for success – planning and preparation. 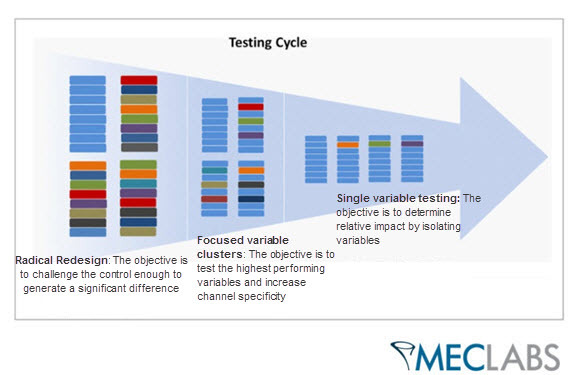 Today’s MarketingSherpa blog post is three tips for test planning management. Our goal is to give marketers a few simple best practices to help keep their testing queue in good order. Creating a universal test planner everyone on your team can access is a great place to start. As I mentioned in the previous step, the status of a test can change and, based on the results, so will the ideas and priorities for future testing. Some tests will move forward in the queue, and others will be pushed back to a later time. So, to help keep our team informed of changes in the testing environment, we update the planner throughout the day and in real time during brainstorming sessions based on results and Partner feedback. This allows us to focus our research and testing strategy efforts on expanding on discoveries versus chasing our tails to keep up-to-date. “What gets measured is what gets done.” So says the old business maxim, at least. Q: Which of the following are you involved with tracking, analyzing or reporting on for your organization? 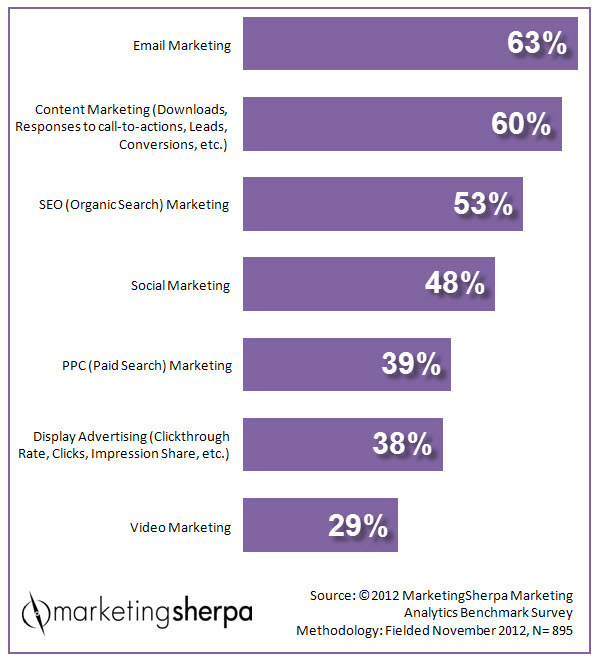 These results highlight the indifference, or perhaps lack of experience, when it comes to tracking marketing, especially social media marketing. As these channels can be tracked offline (via call tracking) and online, via dynamic numbers and email tracking, it still seems as though there are trackers and non-trackers in terms of marketing specialists. Even with a nudge effect of marketing across several channels, the ROI of these nudges is important and should be tracked. The old adage of “managing through measurement” is still important and not having accurate measurement to call upon leaves marketing specialists arguing based on their opinions rather than facts. (And, that’s a sure way to the exit door).